More restrictive laws surrounding opioid prescriptions do not always have the results they intended. That appears to be the conclusion of a study published recently in a JAMA Surgery article dated Aug. 22. The study focused on the impact of the October 2014 change of hydrocodone products from Schedule III to Schedule II. The regulation, as all pharmacists practicing at the time remember, caused significant challenges to patients and providers. Prescriptions for Vicodin, Norco and the like suddenly became non-refillable. 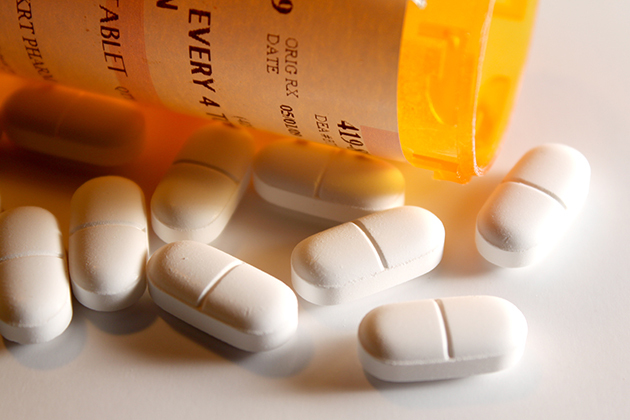 The law intended to reduce the total quantity of hydrocodone prescribing, and it did. The number of hydrocodone products (HCP) prescribed across the nation declined significantly. But the recent study noted that the schedule change appears to have resulted in a slight increase in the amount of opioids prescribed initially. The study looked at over 21,000 surgical patients in Michigan. Overall, the researchers noted an average increase of the equivalent of about seven hydrocodone tablets (5 mg each) for the first fill, post-surgery. In other words, it appears that doctors responded to the hydrocodone schedule change by just writing for more opioids on the first fill, presumably because that is easier than writing multiple Schedule II prescriptions. This is hardly a step forward in our battle with creating addiction. Another example of legislation that does not appear to have had the impact expected are the rules mandating the checking of state PDMP (prescription drug monitoring program) before writing an opioid prescription. A study published in the same journal looked at patterns of prescribing in New Hampshire after the Jan. 1, 2017, implementation of regulations that required checking the PDMP. The results showed no significant decrease in the percentage of patients receiving a post-surgical opioid prescription. While the use of the PDMP has helped prescribers to manage patients in certain settings, this study did now show an overall benefit for patients undergoing elective surgeries. Pharmacists like myself, who work on the front lines of opioid dispensing, see other examples of regulations that really don’t help deal with the underlying issues of addiction and abuse. In Massachusetts, for example, prescriptions for Schedule II narcotics must include a statement indicating that patients can fill "less than the prescribed amount." But since such prescriptions are non-refillable, patients electing to fill smaller quantities run the risk of running out and needing more. Thus, the partial-fill rule has had almost no real impact in the state. It appears we may not be able to simply legislate ourselves out of this problem. And the reason for this is obvious to people, like pharmacists, who are actually involved in the dispensing of these medications. Bad laws are not really the problem. And more laws, or stricter laws, just make it harder for legitimate patients to get the help they need. The drugs themselves are not the problem either. We pharmacists have hundreds of patients who take these opioids for chronic pain and, because of them, are able to live a relatively manageable life. They don’t take away all the pain, but they allow some patients to keep working, to live independently, to visit family, grocery shop and otherwise cope with a chronic disease. Rather, the issue is much more complicated. On the one hand, we all know we have a prescribing issue going on. There are bad doctors who have allowed patients to escalate to absurd dosages on opioids. OxyContin 80 mg every four hours with oxycodone 30 mg for breakthrough. Really? Twenty tablets daily of Methadone 10 mg with 100 tablets monthly of hydromorphone 8 mg to be used as needed? These are often non-cancer patients that have just escalated out of control. Most doctors aren’t doing this. But some definitely are, and it just needs to stop. On the other hand, we have a culture that makes drug diversion and abuse virtually acceptable. Resources to help those who really want to escape addiction are limited. In my opinion, pharmacists should be authorized and empowered as providers to begin treating patients who want out of the addiction cycle. And we also have to consider spending more money on treatment programs and less on incarceration efforts. Recovery services are simply more cost-effective than jail time. We, in the United States, have an opioid problem unlike anywhere else in the world. We aren’t going to fix it by checking the PMP or rescheduling our drugs or limiting first fills. And as the studies quoted in this article show, the easy approach is rarely the most effective one.